Milano Design Award rewards the HIDDEN SENSES project by Sony Design in the category “Best Playfulness”, as part of the project that has been curated by Milano Space Makers, Tortona Rocks in the frame of the Tortona Design Week 2018. With a department of over 250 designers from different nationalities, Sony Design goes back to Salone del Mobile after 8 years, with a visionary project resulting from many years of research. HIDDEN SENSES engages each visitor with different amazing sensory experiences that show how technology can be delicate, sensitive, impalpable and useful to daily well-being. The project can be visited at the Zegna space in Via Savona 56 until Sunday, April 22nd. 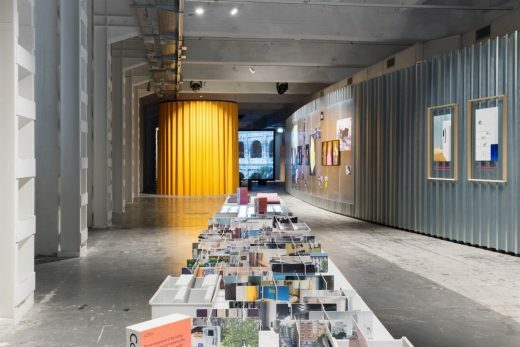 District, city, world: until Sunday April 22nd, design goes beyond boundaries and multiplies the creative energy of an area that has always been the symbol of Milan Design Week – Tortona – connecting people, projects, ideas and emotions. Hub for innovation and cultural production, active all year round, the Tortona district becomes once again the link between Milan and international design with a rich program of events and projects involving the new protagonists of contemporary design. Belgium, China, Denmark, Germany, Japan, Great Britain, Norway, Holland, Poland, Spain, Switzerland, Thailand are just some of the countries that will be represented through the exhibition projects in the Tortona Design Week 2018. Well-established companies in the area, famous designers and emerging talents, well-known brands and companies – including Dassault Systèmes, Hyundai, IQOS, MINI, Moooi, Miele, Napapijri, Saviola, Sony, Stone Island, Vans, Whirlpool – will enliven the Tortona district for the whole week, creating narrative environments where visitors will discover the latest industry news, reflect upon the interactions between design, everyday life and technology, the search for new materials, the most innovative product features, the connections between design and topical issues such as smart cities, city making and new forms of urban planning and regeneration. This year, too, the free Architours of the district are back, organized by Associazione Tortona Area Lab during the Fuorisalone week. Guided by expert architects, visitors, operators, students and architecture and design enthusiasts will be able to explore some of the most interesting places in the area. The tours, organized in collaboration with AIM – Associazione Interessi Metropolitani (nonprofit organization specialized in studying and promoting urban transformations in Milan), are about two hours long and are carried out exclusively by reservation. This year they will include three locations symbolizing the connection between fashion and design: Armani Silos, Labirinto by Arnaldo Pomodoro and Tortona 37. Among the news of the 2018 edition, in order to accompany visitors in the discovery of the many scheduled events in the area, in addition to the website www.tortonadesignweek.com, a web app dedicated to Tortona has been created for the first time. Tortona Design Week is an integrated communication project, patronized by the Municipality of Milan, endorsing events, installations and projects in the area of Tortona during the Fuorisalone. The project has many different partners, from organizations focused on cultural experimentation and research to well-established companies working in event management and design production: Associazione Tortona Area Lab, BASE Milano, Magna Pars, Milano Space Makers, Tortona Locations, Tortona 37. City making and new forms of urban planning and regeneration will be the themes at the heart of the BASE Milano proposal with the exhibition “Trouble Making. Who’s making the city?”, commissioned by BASE and curated by Raumplan. The exhibition is an investigation of mass phenomena and the virtual networks that are changing the looks of our cities. By looking at the work of artists, photographers, designers and videomakers – among which åyr, Calibro, Delfino Sisto Legnani, Donato Ricci, Louis De Belle, Òbelo – the exhibition will provide an interpretation of several group phenomena at work in the urban sphere: from the boom in courier work to the new circuits of mass tourism, and the processes set off by sharing economy, home-sharing and do-it-yourself online information. Being itself one of many city planning study cases, BASE Milano will also present some of its new spaces under renovation – from 6,000m2 to 12,000m2 – with brand-new prototypes of services and facilities: a fresh concept of the neighbourhood “portineria” [lodge], a renovated shared in-house workshop and a courtyard that has been transformed from an industrial loading area into a cultural entertainment venue for the city. In line with the themes of this edition, for the duration of the Design Week, BASE Milano will also present a program of music events. From the aperitif until late at night, in the renovated spaces of the former Ansaldo, the music scene and subcultures having a historical impact on urban transformations will be celebrated, together with the proposal by Radio Raheem – independent web radio from Milan – that, for the occasion, will move to “La Portineria” with its music and interviews to design leaders and other personalities. 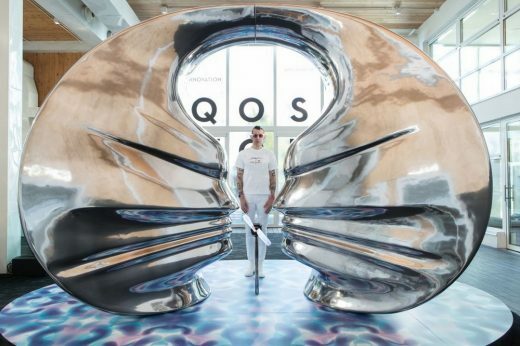 This year, Hotel Magna Pars Suites Milano and Magna Pars Event Space will host, among other projects, IQOS WORLD & Karim Rashid – a project by IQOS, the device by Philip Morris International that heats tobacco without burning it, featuring a site-specifc installation by eclectic designer Karim Rashid – and project TORTONA15MILANO, which is named “intrecci” [interlinks] to underline how the exclusive Magna Pars Event Space attracts multinational brands and communication agencies, allowing them to interface with different design and creative studios, influencing one another and creating useful connections. M2O Radio will sign the musical background in the Magna Pars spaces, being present with its with its live DJs. Tortona Rocks, the exhibition project curated by Milano Space Makers, is this year at its third edition, with over 20 projects, involving more than 30 designers and 50 companies, showing the best of international design between Europe and Asia, where contaminations, future living scenarios and technology are the key words. Like the Norwegian Presence project, that will show the trends of Nordic design, ranging from design to sculpture and installations, exploring the sense of fellesskap – the Norwegian word that conveys the idea of a focus on community – or the Swiss Design Project, coordinated by Switzerland Global Enterprise, which will involve 12 companies in a large showcase of contemporary Swiss design. 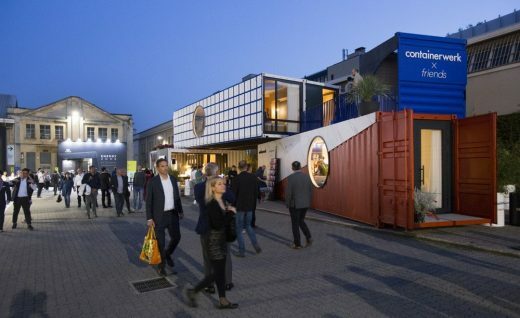 Conteinerwerk will amaze visitors with its vision for sustainable living, whose protagonists are containers for maritime transport, while Napapjiri will step out of the fashion world to share its vision of future urban living with #Futurehood, a hub of installations, talks, seminars, and the interactive installation Murmur Wall. Stellar Works will be in Tortona for the third year in a row, with the project any / everywhere conceived by the brand’s creative directors Neri & Hu, and will present its new collection. Politecnico di Milano, in collaboration with Vans, will host a live event, a workshop involving students, and RESONANCE MATERIAL Project will create a space in which visitors will experiment the interaction between objects and human beings. 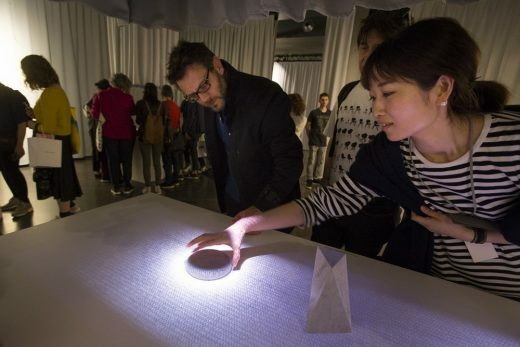 Sony Design is back at the Design Week after 8 years, with the Hidden Senses project that shows how technology can enrich our perceptive skills. Miele will display its revolutionary excellence with Creating New Dimensions, an immersive environment where technology and creativity coexist. Dutch design will be present with the Envisions project in collaboration with Finsa to offer visitors a new perception of industrial production and wooden objects. Moreover, Whirlpool, AGA and Falcon, Élitis, JOB’S, +d pop up store, soil, hmny and CORGA, Hyundai, T-STYLE Life Shop: “EN-THAI-LY”, Impress will show their new collections and curiosities. The program proposed by Tortona Locations will present many international projects and collaborations, among which the consolidated presence of German Design Council stands out, displaying the prototypes of the 21 designers who have won “ein&zwanzig”, an international competition created to support the new generations of designers, and the Japanese brand P!NTO SEATING DESIGN which, once again this year, has chosen Tortona to present its innovative Seating Design products. For the first time at Fuorisalone, on 20 Via Tortona, HIC EST FABER – contemporary artisans collective aimed at rediscovering the new know-how that lays in the creativity of hands in pursuit of excellence. CoontemporaryMood and Allestire Decor Lab will present MOOD LAB, a concept that brings together objects, design furniture, solutions and technologies in order to create innovative and personal environments. Casa Stokke® will be back for the second year, with its own space and a series of activities dedicated to families and future mothers visiting the Design Week. This year their space will also host a photo exhibition by Oliviero Toscani, which will tell about motherhood through 40 live shots. Waiting for the summer, Save My Bag will celebrate the magical atmosphere of 1960s, recreating a perfect seaside setting with white sand and coloured poufs, in the heart of Milan. The company Saviola, combining Ecology & Design, will offer the best alternative to the use of real wood through an innovative range of decorations and topcoats, papers and laminates, edges and surfaces. Within the Bocciofila at 31 Via Tortona, FUZETEA – the new iced tea by The Coca-Cola Company – will offer an immersive experience between real world and virtual holograms, realized in collaboration with Microsoft. Tortona Locations will also present the new edition of Casello Giallo: fascinating emblem of urban transformation, with its secret garden on the rails of the Porta Genova station, in this green oasis visitors can relax and have a snack. In the Tortona district are also brands such as Archiproducts Milano, Stone Island and MOOOI, which reconfirms its presence in via Savona. Partner of Tortona Design Week 2018 is Dassault Systèmes. Media partners of the project are Domus, Fuorisalone.it and Spotify. Technical partners: Jointag, for the web app, and GaraGeeks, for the device charging station inside Opificio 31. Tortona Design Week supports the Milano Design Award, the only award celebrating the best installations at the Fuorisalone. The official Info Point and Press Point of Tortona Design Week will be hosted in the spaces of BASE Milano. The first, in particular, can be found in the new lodge prototype, immediately in front of the entrance at 34 Via Bergognone. The Press Point will be accessible from the main courtyard entrance. At TDW 2013 UNStudio will be presenting a selection of their product and interior works in the Emporio building in Zona Tortona. In addition – and in collaboration with UNStudio’s Knowledge Platforms – a programme of ‘Platform Dialogues’ by specialists from within the UNStudio network will be organised throughout the week. April 21, 2018 in Events.